Low Glycemic Foods and the glycemic index diet, how important are they? Low Glycemic Foods, hype or not? Which foods are low glycemic foods and how does one figure out glycemic levels? 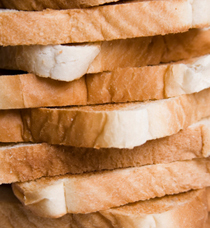 In North America foods are compared to white bread, which is given a GI of 100. In Europe they are compared to glucose. Another measurement that is used is glycemic load. This tells us how rapidly a carbohydrate turns into sugar and how much of the carbohydrate the food contains. What happens when you eat foods that are high on the glycemic index? The food releases glucose rapidly producing high blood levels of glucose. The pancreas secretes insulin to regulate glycemic levels. If this happens too often then the cells become overloaded and can not respond to insulin and take in the glucose. Just like a drug dependency the cells become "insulin resistant." They require higher levels of insulin in order to get the glucose into the cells. When all the glucose reserves are full, excess glucose is converted to fat. In a study of the high glycemic phenomenon, young boys were given the same amount of calories for breakfast. However one group had instant oatmeal and the other group had a vegetable omelet and fruit. They were given either a low glycemic or high glycemic lunch of equal calories. Following the noon meal both groups were allowed to eat as much as they wanted. The high glycemic group ate over 80% more calories than the group that ate the low glycemic meals. To ensure there wasn’t any difference between the groups, the researchers switched the meals between the two groups and had the exact same results. we almost always eat foods together. How the food is prepared, peeled, puréed, etc. 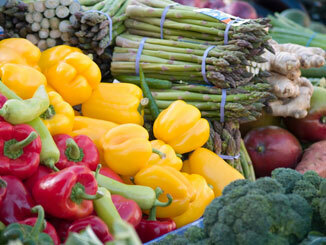 If you want to follow a glycemic diet, how do you choose low glycemic foods? Once again, it is the whole, natural foods that are low glycemic and the highly refined processed and fast foods that are very high on the glycemic index. It is essential to follow a healthy diet. 1. Ludwig, D.A. et al. "High Glycemic Index foods, Overeating, and Obesity." Pediatrics 103. (1999): e26. 2. Strand, D. Ray, MD. Healthy for Life, Developing healthy lifestyles that have a side effect of permanent fat loss (Rapid City, South Dakota: Real Life Press 2005) 45.